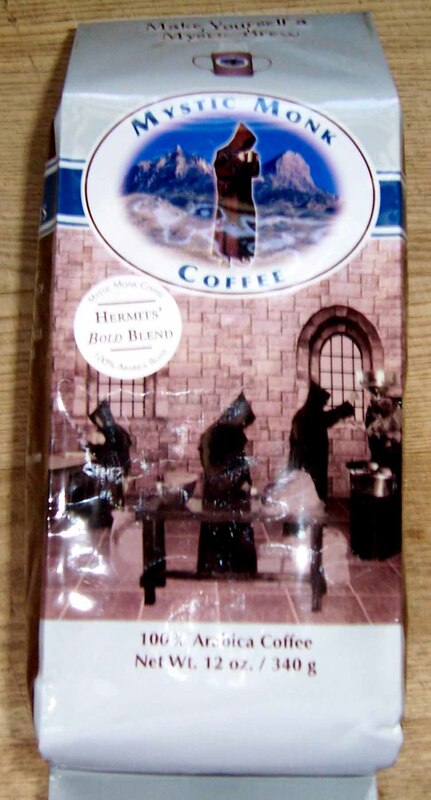 My wife and I were looking forward to trying the Hermits’ Bold Blend because the Monk’s Mexican Decaf tasted so good. We both look forward to opening a new bag of coffee and smelling the aroma of the beans. The aroma was good but not overpowering. “The coffee is described as an extraordinary, bold coffee with exquisite complex notes. A darker full-bodied coffee, but unlike most medium-dark coffees there are lively, spicy tones that remain.” We looked forward to the brewing and tasting. First up this time was the French Press. We decided to change the order a little this time just because I like to change things up if for no other reason than to do things differently. There was a nice aroma coming from the grinder and then the Press. It looked really good when it was ready. It isn’t as bold as I would have thought for a medium-dark roast, but it has a nice flavor. There was a slight citrus taste with mild hints of nut also. Kim thought it tasted good with her multi-grain and peanut butter toast. We both enjoyed it black. We made two cups in the auto-drip right away so it was a close comparison. The aroma was similar and the flavors were a little milder. Sometimes we wonder if we are making the auto-drip strong enough now. We both enjoyed drinking it black again. This coffee is not too acidic and almost has a slight sweet taste to it. Both of us liked this style of brewing also. Lastly it was the Chemex coffee brewers turn. I still have not lost the surprise of how clean a cup of coffee the Chemex makes. It is about as strong as the French Press but with none of the grit or oils because of the filters. It is light in your mouth and you can taste a slight spiciness on the tip of your tongue. Overall this is an enjoyable cup of coffee, not as bold as we expected but satisfying. Kim thought this would be a good coffee to drink if you were on a diet because we didn’t need any sweetener or creamer in it. It has a medium body feel and a good aftertaste in your mouth. Both of us would recommend this coffee to anyone looking for a medium-dark roast to enjoy. You can get the coffee at www.mysticmonkcoffee.com. We hope you get some and enjoy it. Look for more coffee reviews next week as we have some good sounding coffees to brew and taste. Stop and smell the coffee and enjoy it when you do. We’re looking forward to our next coffee date. We received this coffee for free and offer this review as objective feedback. To read some of our other coffee reviews click on coffee at the right under categories.